View of building situated at the SW corner of the village. Not to be confused with Denholm Mill (NT 5657 1848), for which see NT51NE 37. Two of the early factories or stocking-shops have survived. 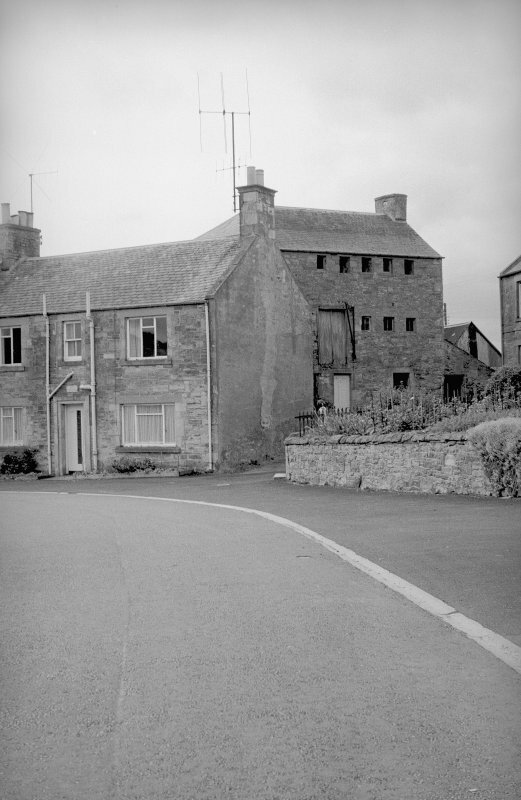 The one in the better state of preservation stands at the W corner of the village; it is an oblong building of rubble with slated roof, and contains three floors and a dovecot in the roof. On the upper floors there is a regular series of small windows, each intended to light a stocking-machine. The entrance for goods on the first floor has been enlarged. (Location cited as NT 567 183). 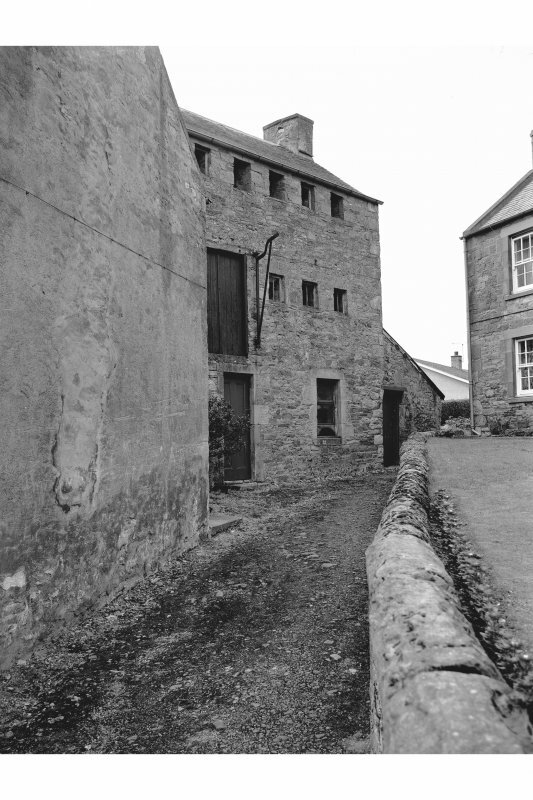 Stocking Mill, Denholm, late 18th century. 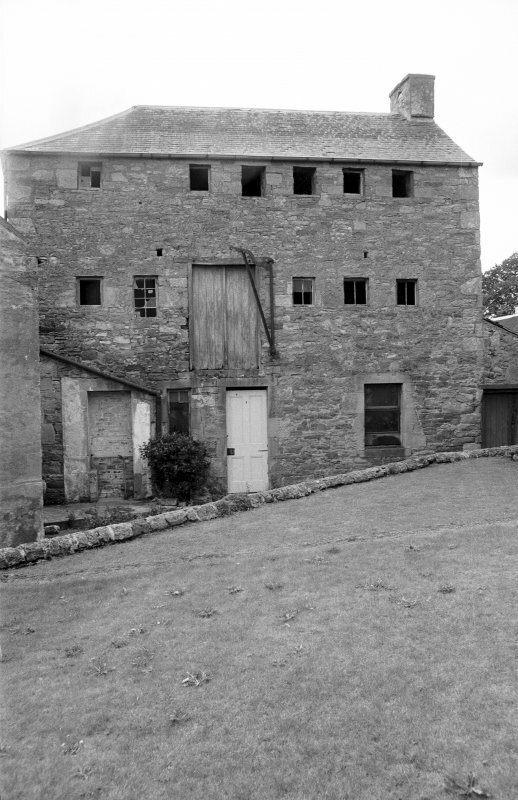 A three-storey, 2- by 6-bay rubble building with small windows for individual stocking frames in the upper floors. Later converted to a warehouse by the insertion of a door and wall crane at first-floor level. 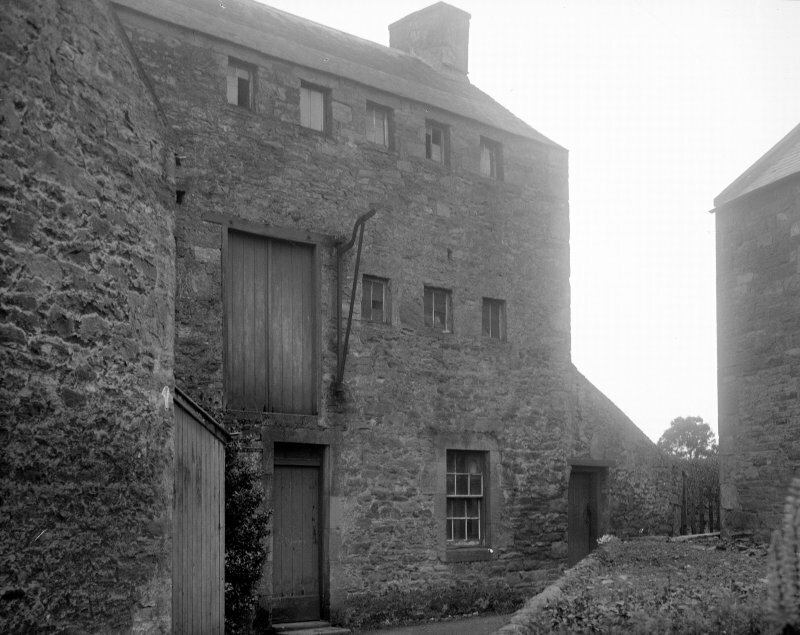 Westside Mill, late 18th century. Three-storey, rubble, with slated roof. Upper floors with small square windows each lighting a stocking-machine. 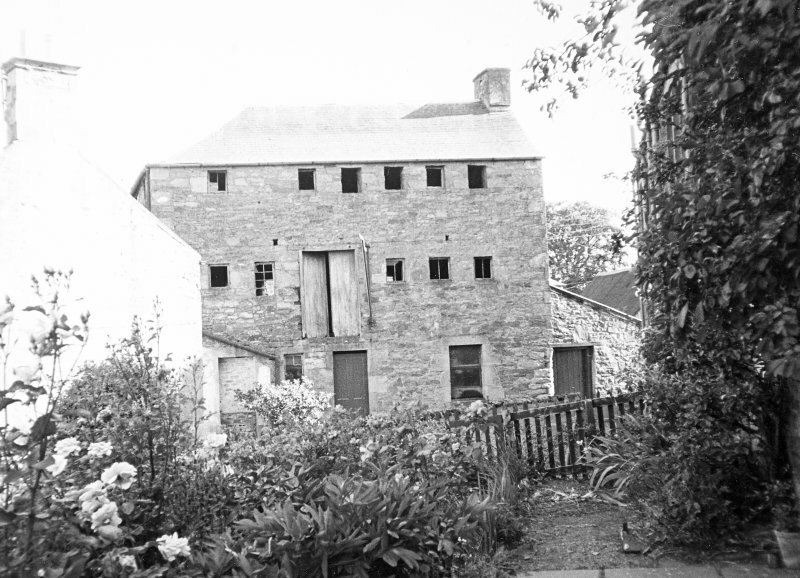 This mill represents an interim stage between cottage industry and the full-blown factory production of the Hawick mills. Unfortunately, its conversion to a dwelling has diminished its authenticity.